Author Richard Peck's death hit Facebook early this morning, long before the obituaries started turning up on the Internet. He was an accomplished and prolific author who continued to write well into his later years, publishing the well-received The Best Man in 2016. He was also very active and well-known in the children's literature community. How active and well-known? Even I've heard him speak. 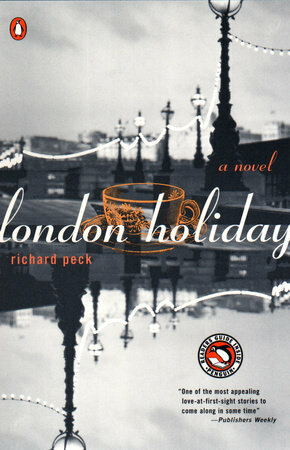 I can't find a post on Peck's award winning book A Long Way To Chicago, which I read and liked. I didn't even look for a post on his London Holiday, because it's an adult book, and, yes, I've read it. I don't recall a lot, except it involves some American women visiting England. I can say that that's a set-up I like. I'm going to close with a few words for some Peck books I don't hear a lot about. He wrote several books about a character named Blossom Culp. My recollection is that the one I read was historical and amusing and had some fantasy elements. I'm thinking I should make an effort to find one of those for a reread.